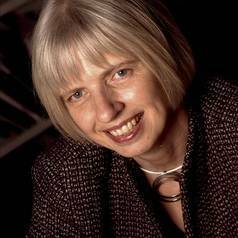 Whether it be young people selling sports shoes, or carers looking after the elderly, workers in the UK are increasingly being forced into zero-hour contract, writes Prof Jill Rubery. But this hasn’t happened by accident: it is a product of many years of moving towards a ‘flexible’ labour market, one that in practice means more power for employers over employees. What is a ‘zero-hour employment contract’? For a start, it is a contradiction in terms. An employment contract implies a set of rights and obligations between the employee and the employer, but a zero-hour contract only involves obligations on the part of the employees: to be available for whatever work the employer chooses to offer, or risk being excluded in future. You might expect such an unappealing arrangement to be confined to situations where the activity was by nature intermittent – for example to cover concerts, or weddings. It might also be expected to be used for students or moonlighters, not for those in need of a regular job. But earlier this year we learned Sports Direct – amongst several others – uses this form of contracting as the main means of staffing an on-going and obviously highly profitable activity. From a workforce of 23,000, just 2,000 are employed full-time. This cannot be explained by the need to manage fluctuations in demand, as Sports Direct owns or pays rent on a fixed number of shops with predictable opening hours. Each store will also have a minimum staffing level. This provides at least a basic platform for offering guaranteed hours to most staff. There can be only two explanations for this vast use of these non contracts. First, they are a means to gain increased control over the staff as the employer can choose to only offer the most productive, or more likely the most compliant, employees regular or more convenient work schedules. The alternative explanation is that these contracts take advantage of the large pool of unemployed without the risk of high turnover. Whatever the apparent benefits, we do know that Sports Direct has scored a publicity own goal. A few months back it was trumpeting its high profits and “progressive” profit sharing, involving large bonuses for its permanent staff. It now transpires that 90% of its workers are on zero hours, a contractual position used to exclude them from rights to the profit share. Many of the zero-hour staff may have succumbed to moral pressure to take whatever job is available rather than rely on benefits, even when this could mean greater financial insecurity (at least unemployed people can rely on a regular income, of sorts). These staff have the moral high ground here. They now know their employer is doing this not out of necessity but because it excludes most staff from the reward scheme and because UK employment law allows these contracts to be used even for staff who work regularly for the company and for long periods. It would be easy to simply blame capitalist greed for the current wave of zero-hour contracts. With Sports Direct that is clearly the case. But there are other sectors also reliant on these contracts, and here much of the blame lies with taxpayers and governments. Domiciliary (home-based) social care is a great example of such a sector. Recent research by Manchester Business School found seven out of ten private domiciliary care providers employed all care staff on zero hours. Here, the practice can be directly related to the fact home care is commissioned by local authorities who in turn are not allocated enough social care money by Westminster. Zero-hour contracts enable care agencies to operate in a tough commissioning environment where margins are low and permanent staff are more expensive to employ. Unlike their colleagues with guaranteed shifts, zero-hour staff are only paid for face-to-face care time with breaks between clients and travel time normally unpaid, meaning the effective income may even be below the national minimum wage. Most of the care workers we talked to are primary or joint breadwinners for their families, far removed from the stereotype of casual workers associated with such contracts. From sports shops to home care, zero-hour contracts are depriving core employees of their basic rights to fairness at work, whether this is the right to be paid for time spent at work or to share in company bonus schemes alongside other staff. At its most basic, a job should provide security of income and the opportunity for workers to plan their lives. Zero-hour contracts fail on both counts, revealing the darker side of the flexible labour markets of which our governments are apparently so proud.